Wayne State University today launched the Warrior Way Back program, a novel approach to re-engage students who left the university with debt and without a degree. In creating a new approach to university debt forgiveness, the Warrior Way Back will allow returning students to complete their degrees, meet growing demand for an educated workforce and support Detroit’s economic renaissance. 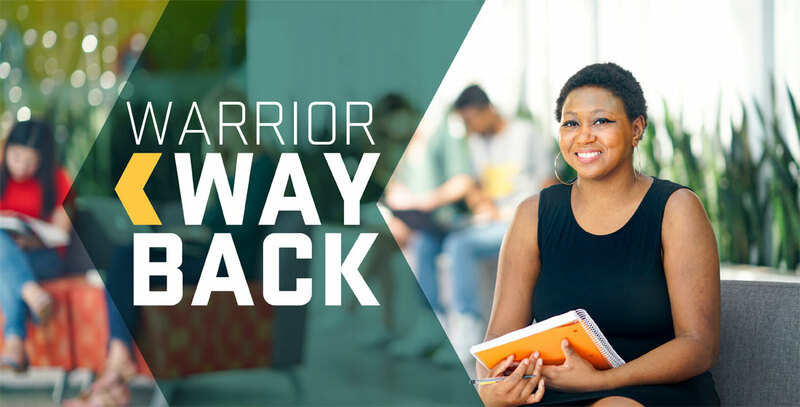 The Warrior Way Back program offers former students with an outstanding balance of less than $1,500 to re-enroll and “learn” away their past debt and earn a college degree. Warrior Way Back students will reduce their past-due balances by one-third at the end of each successfully completed semester until the debt is eliminated. Upon re-enrolling, students will have access to a whole suite of robust services and resources designed to help them achieve, many of which are new or enhanced since their initial experience at Wayne State. The program contributed to Detroit being named a Talent Hub by the Luminia Foundation and Kresge Foundation. The designation recognizes cities that meet rigorous standards for creating environments that attract, retain and cultivate talent, particularly among today’s students — many of whom are people of color, the first in their families to go to college and from low-income households. These Talent Hubs will help address the greater-than-ever demand for workers with an education beyond high school that has been created by the ongoing shift to a knowledge-based economy. A recent Manpower study indicates that 40 percent of U.S. employers are having difficulty filling jobs, with more than 2 million positions open due to talent mismatch. There are almost 700,000 people in the Detroit area with some college, but no degree — including more than 12,000 from Wayne State. In reducing and eliminating past-due debt, the Warrior Way Back program will help these students complete their degrees and fill those jobs. Wayne State’s institutionally funded financial aid totaled $74.2 million in 2017 — an increase of more than 150 percent since 2007. More than 1,100 incoming freshmen had their tuition and fees fully funded through the Wayne Access award, which provides free or nearly free tuition to eligible students after a combination of federal, state and other institutional aid. Wayne State also waives application fees for first-generation and low-income students and, in 2017 launched its Warrior VIP Program to provide students comprehensive, personalized support and guided access to campus resources like financial aid, career services and more. To learn more about the Warrior Way Back Program — and to see if you qualify — visit go.wayne.edu/wayback. Interested students are encouraged to attend an information session on Thursday, June 28, or Monday, July 30, from 4 to 7:30 p.m. in the Welcome Center. Interested students can also contact the Student Service Center at by calling 313-577-2100 or emailing warriorwayback@wayne.edu. Walk-in appointments are available at the Student Service Center Monday through Friday from 8:30 a.m. to 5 p.m.